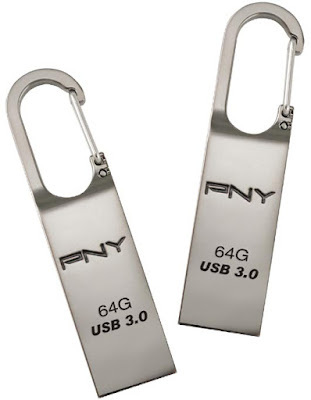 PNY Technologies, world renowned manufacturing giant for USB and Memory products, has introduced their latest addition in portable flash memory drives, the performance driven Loop Turbo 3.0 USB flash drive. The Loop Turbo 3.0 has been awarded the best product of 2015 National Brand YuShan Award. This award winning pen drive features an innovative hook and lock mechanism that ensures maximum security and portable storage and sharing of images, videos, documents and more. Combined with USB 3.0 specification, the Loop Turbo transfers files at super speed level without having to wait any longer for large files to be transferred. 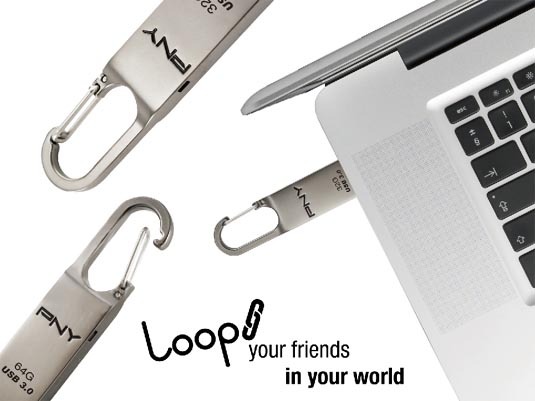 The Loop Turbo is the ideal memory flash drive for storing all your important files and documents. PNY’s Loop Turbo is the proud recipient of the National Brand YuShan Award, one of Taiwan’s most coveted brand awards. This respected award is named after YuShan, the highest mountain in Taiwan, as the symbol of nobility, brilliance and permanence. The YuShan Award focuses on enhancing design, innovation and manufacture capability, and brings more and more Taiwan's own brand into the world. 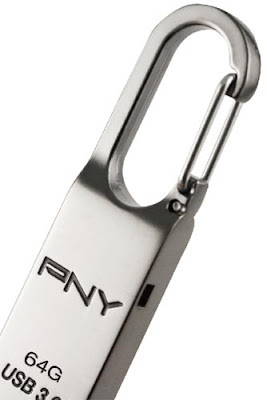 PNY’s Loop Turbo has been awarded this prestigious title for its design and innovation which has been recognised and highly appreciated by judges and experts. The Loop Turbo 3.0 is manufactured in rich metallic steel with high-quality rifle color coating. Its compact design and sturdy build makes it completely resilient to any damage caused by daily usage and performs diligently in keeping files safe and secure. The drive features an integrated hook and lock mechanism that can be easily fastened onto a wallet, backpack, belt or any other accessory and to carry everywhere. This makes it extremely convenient to be carried along and frees up your pocket space. Its lightweight size (4.84 g) and streamlined structure (H 4.5 mm x W 12mm x L 48.8mm) doesn’t add any extra bulk. The Loop Turbo 3.0 features super speed USB 3.0 specs, which is more than ten times faster than the USB 2.0 standard. With easy plug and play technology, now it’s easier than ever to share your videos, photos and music collection among devices. The Loop Turbo 3.0 is available in storage capacities ranging from 16 GB to 64 GB. 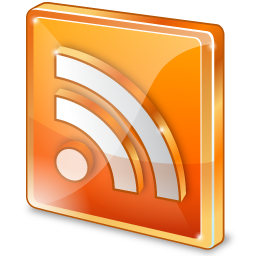 It is compatible with operating systems like Windows 2000/ XP / Vista, Windows 7, 8 Mac OS: 10.3 and above. The drive offers a limited warranty of 5 years from the date of purchase. *Disclosure:An important note, we are just sharing this information to the public, provided by our source. 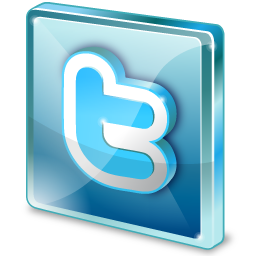 PNY Technologies - Info / Logos / Photos / Images has respective copyrights.